Another Saturday night out, another makeup look. 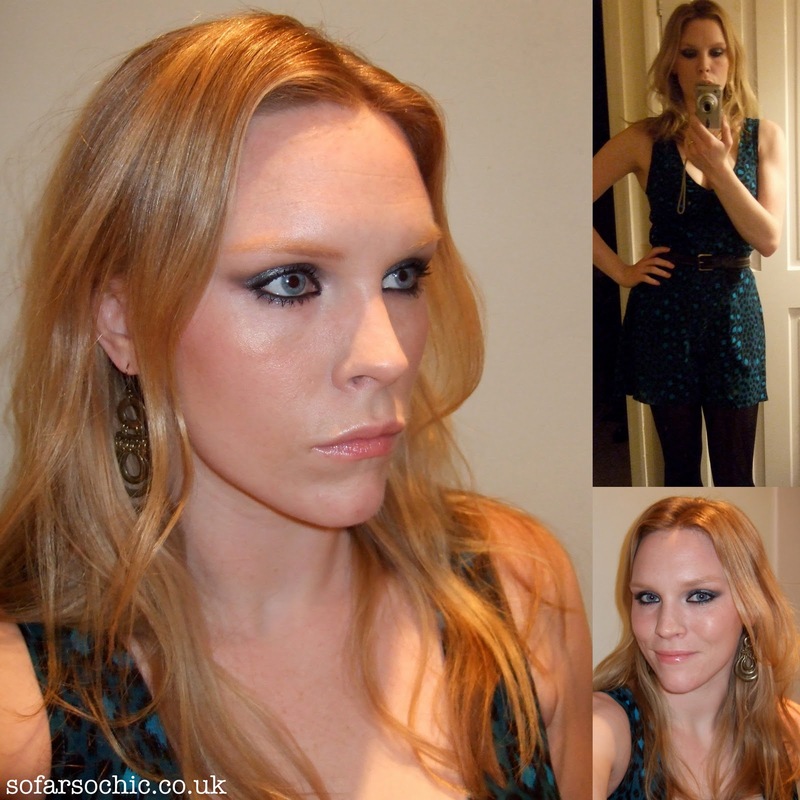 This weekend I went for a heavy navy eye, similar to the Kate Moss look I did for Zuneta.com. 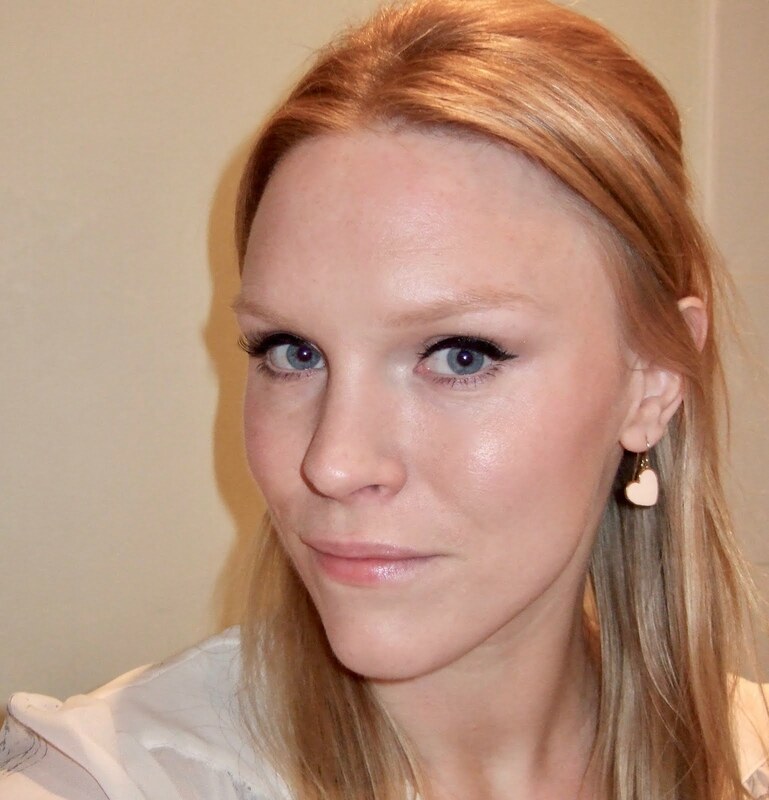 I used the same Hourglass Visionaire Eye Shadow Duo in 'prism' to create the smokey eye. Lancome Le Crayon Khol on the waterline. The palest colour in the Sleek Storm palette on the middle of my lids to make the lid look shiny. A bit of an old silver shadow blended in around the socket line/brow bone. False lashes would have been great but I didn't have any so I just used Rimmel Lash Accelerator Mascara (which, by the way, I don't think has made one bit of difference to my lashes, but I still really like as a mascara). For base I used my new duo-fibre brush to apply Bobbi Brown Moisture Rich Foundation before layering on some Laura Mercier Illuminating Tinted Moisturiser for added 'glow'. I'm really impressed with this brush - it gives great coverage without heaviness. I used a No7 Concealer Brush from Boots to apply my fave Prescriptives concealer. I'm absolutely crazy about this brush and will have to do a separate post on it. It only cost about £7 and it's perfect for using to cover larger areas of redness, rather than for precision as with a tiny concealer brush. I wore my new £19.99 H&M playsuit, which I thought went splendidly with my eye makeup as it's a kind of petrol blue/turquoise colour. Love that playsuit on you. 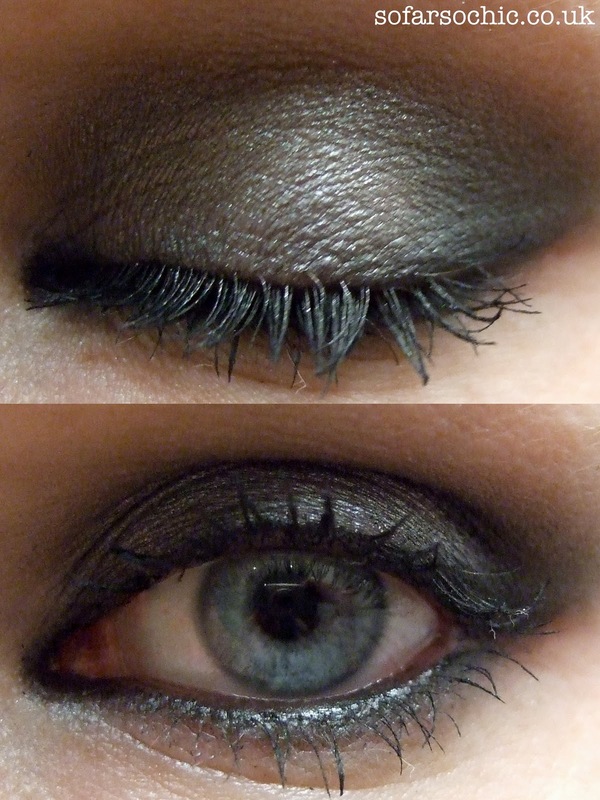 Gorgeous eye make up also. Thanks dolls. @vonnie It's all down to The Brush! I love it! I wiped off my foundation because I had so much fall out from the eye shadow and did it again and it still worked!